So, I've just moved back to London and before securing a job, I've secured a studio apartment. This has evidently caused severe job hunting distraction as evil Pinterest has grabbed me by the eyeballs and shown me all sorts of lovely things I can purchase or make for my new place. 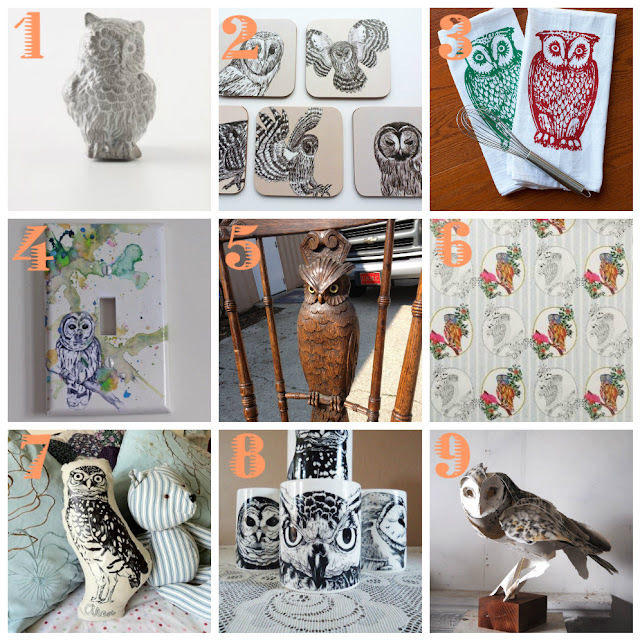 I can pretty much promise there will be numerous 'Home Decor I Adore' style posts in the near future, but I thought it would be appropriate to start with the collection of owl goodies I rustled up seeing as I traipse around with a mask of the owl variety 90% of the time I'm seen online! Oh! And I almost forgot to shamelessly self promote! 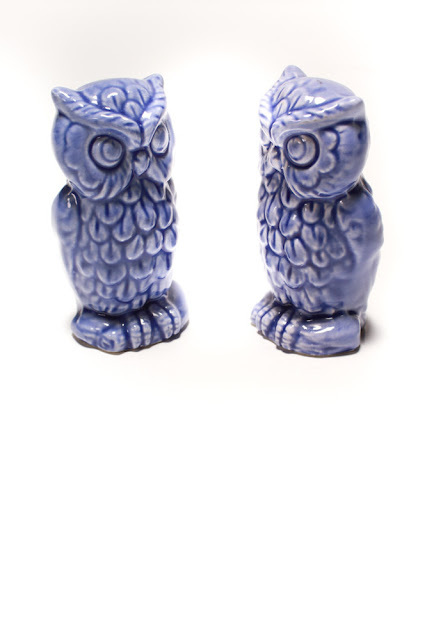 At number 10, we have LEOTIE LOVELY'S Vintage Owl Salt and Pepper Shakers!